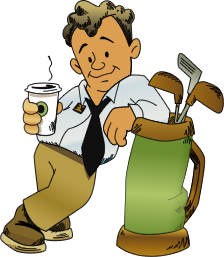 Companies always want to advertise their products or services in the best way possible. 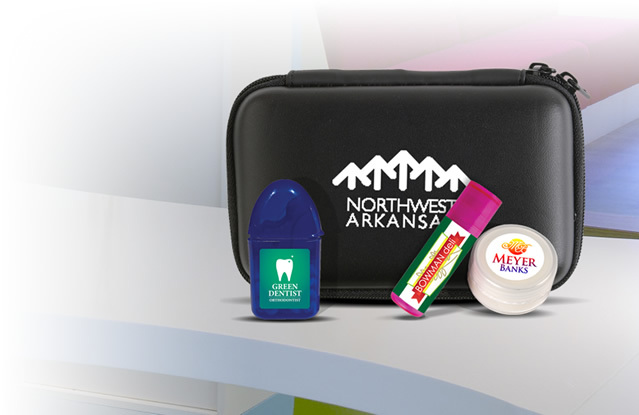 Promotional staplers and removers are small and frequently used desktop and office items that will effectively help promote your business. You might think that these customized staplers and removers are too ordinary or common, but your customers will love your business for giving them such a useful gift. Custom staplers and removers are good handouts for your business, as these are common products that many people use daily. Logo staplers and removers come in a variety of sizes, colors, designs and prices. 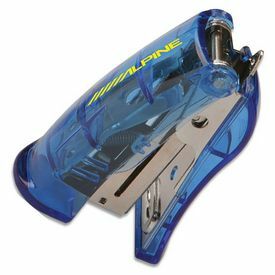 Choose the customized staplers and removers that work best for your company in order to stay ahead of your competition. Often times, people find that they need to keep a stack of papers organized and intact with the help of a stapler. This is why imprinted staplers make such great promotional tools. Just about everyone needs to use a personalized stapler at some point or another, so rest assured that your promotional gift won’t go to waste. 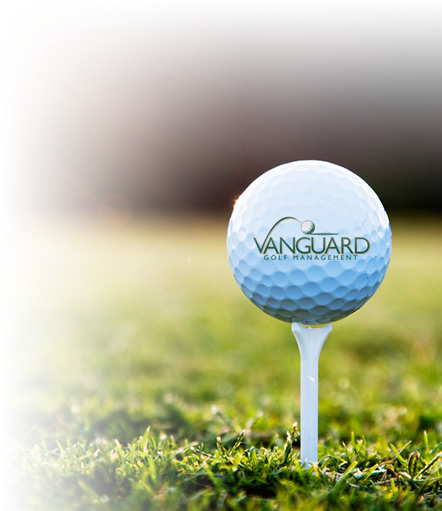 These small tools are very portable, so your company name and logo will get maximum exposure and recognition. Sometimes, people also need to get rid of a stapled pin in order to free papers from a stack. 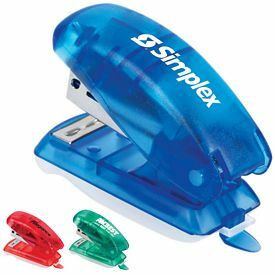 We offer promotional staplers that have staple removers attached along with them, so it becomes easy for a person to use these products for both purposes. 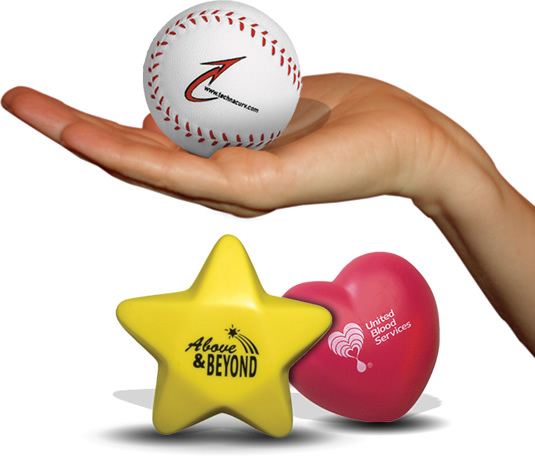 You can distribute our customized staplers and removers at your next promotional event or tradeshow in order to leave a good impression on your customers. 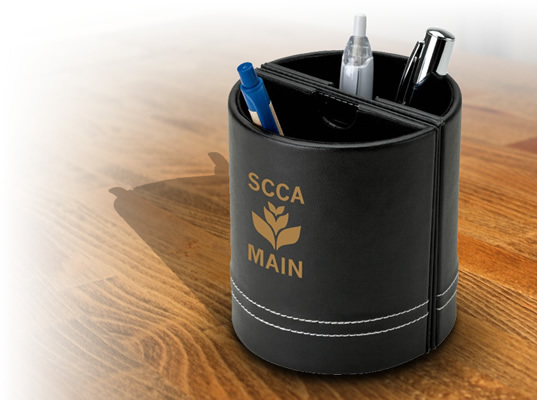 Our company offers promotional products that are designed to serve your customers usefully and durably. 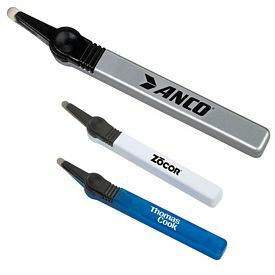 Logo staplers and removers are great items for promoting a company, so we take particular care in providing high-quality products for your business. There are no setup fees on our custom staplers and removers, and we offer various 24 hour free rush offers as well. Try to order in large quantities so that you can save on the overall price. 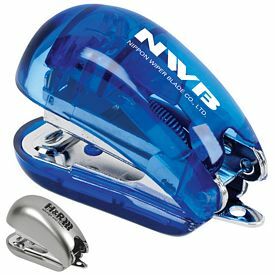 These promotional staplers and removers also make great gifts for your employees, and they will be very happy that you have provided them with such a useful gift. 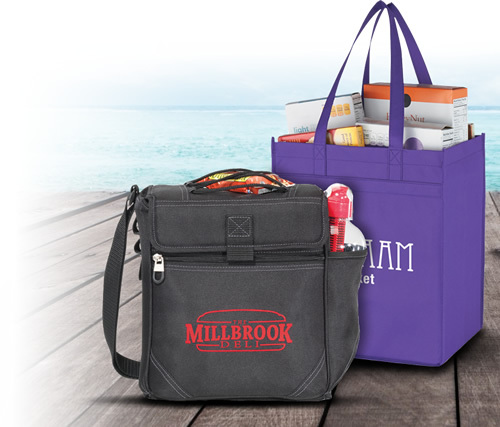 Advertising is all about pleasing your customers with useful and eye-catching gifts. If you are looking for an exclusive gift for your clients, then you can order our customized Travel Stationery Kit. It includes scissors, staplers, and tape dispensers and comes in an attractive shade of transparent blue. The custom Silver Lining Stand up Stapler has a comfortable grip and sleek silver finish. This can be distributed to loyal customers and clients. 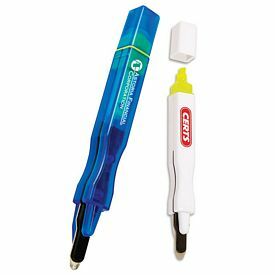 Our promotional Magnetic Highlighter/Staple Remover is another product which stands out for its multi-functionality. 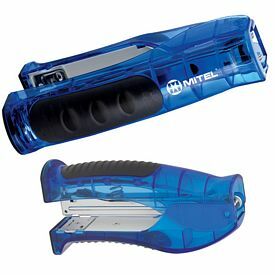 We also carry logo imprinted staplers that come in exquisite colors and designs. Browse through our online catalogs to find out more about our custom staplers and removers in detail. 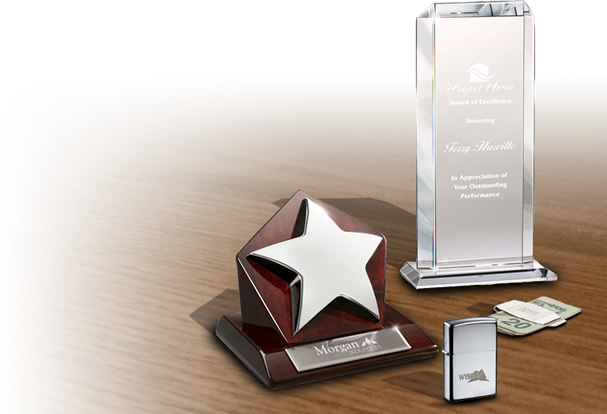 The Executive Advertising has the best prices on logo staplers and removers, so order today!